Keeper of the Peak is a big voice in Peak District mountain bike advocacy. What started as a throwaway comment on an mountain bike forum has become a hugely valuable service for mountain bikers riding in the Peak District, nominated once more for ‘Best Online Service’ in the Singletrack Reader Awards. If we ride trails when they’re not fit for riding, they get ruined. We need to be considerate of trail conditions and pick our routes accordingly so those trails will last. How on Earth do mountain bikers find out which trails are in a good, rideable condition when planning their days out? Chris ‘Pook’ Maloney – committee member at Peak District MTB and driving force behind the Cut Gate Mend our Mountains campaign – saw this as a problem worth solving. He realised that offering advice on internet forums was not the way to do it. He realised that ‘Keeper of the Peak’ was a great Twitter handle. And so an idea was hatched: use the ease with which Tweets could be broadcast to a large audience to share Peak District trail conditions. A few years later and the award-winning Keeper of the Peak has nearly 2,500 followers helping mountain bikers pick the best trails to ride in the Peak District. If you go riding in the Peak District, take a few seconds to send a quick report of the trail conditions via Twitter to @KoftheP. Your update will be retweeted and shared with thousands of others. This is an incredibly simple and powerful way for us mountain bikers to know where’s riding well (and not so well) across the Peak District. It helps you. It helps us all. 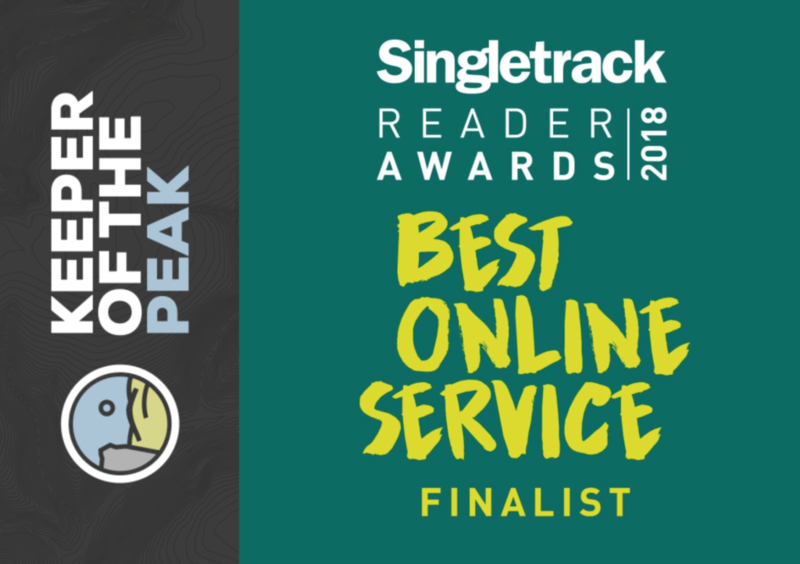 Keeper of the Peak is once more a finalist for ‘Best Online Service’ in the Singletrackworld Readers Awards 2018. You can read more about this on Singletrackworld and of course cast that all important vote. Get voting.